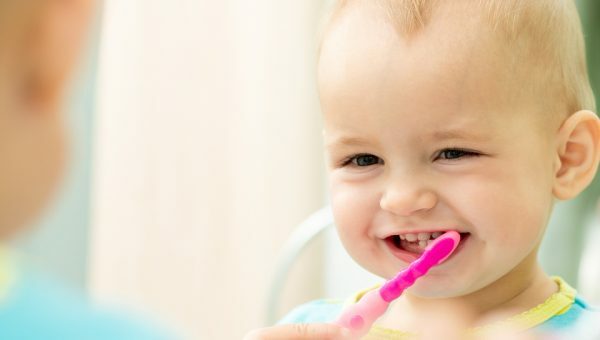 Having children close in age can be fun, but also challenging. A high-quality double stroller is a piece of baby gear that parents of multiple children can turn to for help at many different events, from sports competitions to shopping trips. The best double stroller will be easy to use, simple to clean, and perfectly sized for the desired use. The list below features the ten best double strollers available with an overview of each. Each stroller is affordably priced, offers numerous functional features, and has received high user ratings. The best double stroller for rear seat convenience is the Graco Ready2Grow stroller. This stroller features a rear seat that is adjustable to different positions, so parents can choose to have face time with a young infant or remove the rear seat allowing an older child to stand. Each seat holds a child weighing up to 50 pounds so the stroller can be used for many years. The bottom of the stroller also includes an extra large storage basket to hold toys, bags, and other personal items. 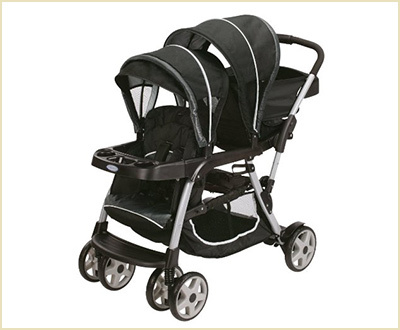 Bottom Line: One of the best double strollers for infant and toddler. 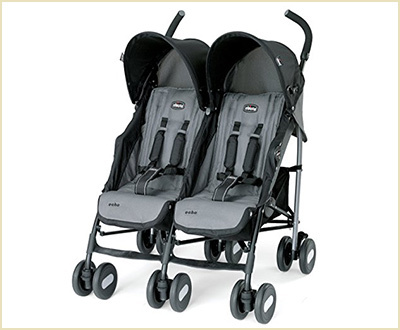 The Chicco Echo Twin Stroller is the best lightweight double stroller thanks to its slim profile and light materials. This stroller folds up to a compact package, making it easy for parents who make many different stops. The stroller features reclining seats that adjust to four different positions. A mesh storage basket is located under the stroller for convenience access. 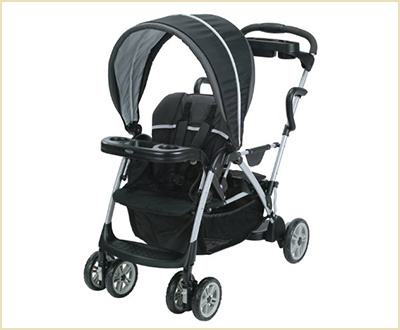 Dual front wheels featuring suspension and locking swivels keep children both comfortable and secure in this stroller. Bottom Line: This is the best lightweight double stroller for twins. 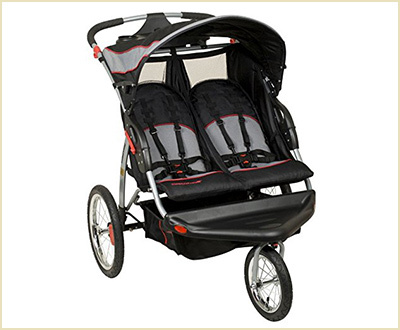 The Baby Trend Millennium stroller is the best double jogging stroller. The stroller features a five-point harness system to keep children secure even during bumpy rides. Parents can use the stroller to connect their iPod or MP3 players so they can listen to music while jogging or walking. The seats can be reclined into multiple positions to keep kids happy during trips, and the bottle holders allow adults to stay hydrated whether they’re working out or strolling at the mall. 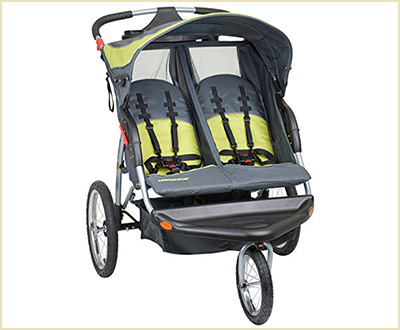 Bottom Line: The best double jogging stroller because of its comfort and safety features. 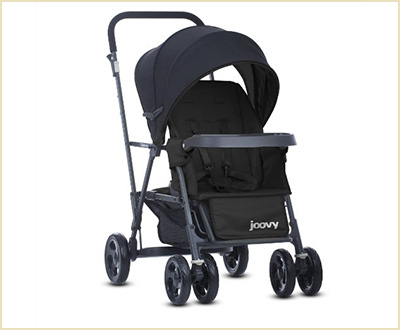 The Joovy Caboose Stand-On Tandem stroller is the best double stroller for infant and toddler siblings, because it features a compact design that safely transports an infant with an older sibling who prefers to stand. This double stroller’s slim profile allows parents to get in tight areas with the stroller, making it a great choice for shoppers. Older children can either stand or sit on a bench seat, and the stroller’s design allows kids to get in without being picked up by a parent. Bottom Line: Tis is the best double stroller for infant and toddler siblings. The Graco DuoGlider Click Connect Stroller is the best double stroller for comfort due to its unique design. This double stroller features stadium style, reclining seats with individual canopies, so both children can get a clear view on any trip. The stroller is compatible with Graco Click Connect infant car seats for added convenience, and it supports children up to 40 pounds. Added conveniences include an extra large storage basket, one hand folding, and a parent’s tray with cup holder. 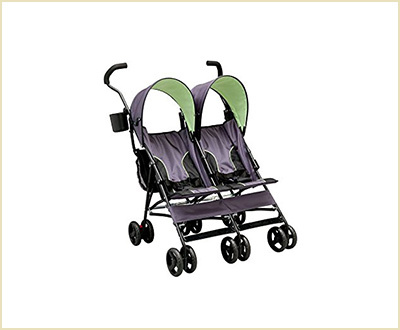 Bottom Line: A reliable and long-lasting double stroller that is easy to push and fold down. The Baby Trends Sit N Stand Ultra double stroller allows for versatility when transporting multiple children. Two children can either stand or ride in this double stroller, and small infants can use car seats that are both front and rear facing. This stroller folds for easy storage and can easily accommodate larger children up to 50 pounds. This stroller is also very easy to clean, making it great for quickly dealing with messes. 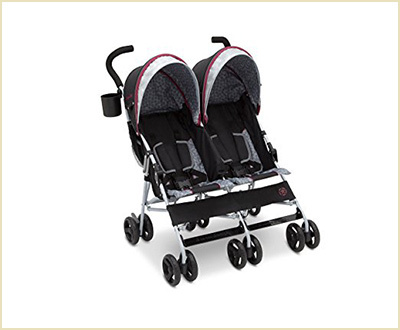 Bottom Line: Best double stroller for twins or young infants given the car seat capacity. The Baby Trend Expedition Double Jogger Stroller is the best double stroller for taking nature walks. This stroller features rugged bicycle tires made for traveling across many different terrains. 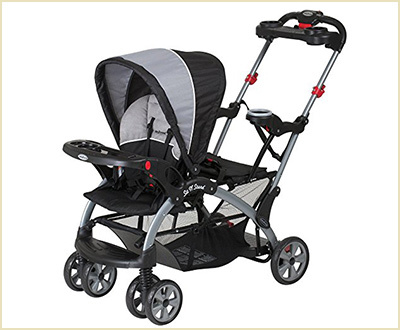 The stroller offers many safety features including a foot-activated rear brake system and locking front swivel wheels. Additionally, the stroller offers added features for children’s comfort, including adjustable seats, and a generously sized canopy for shade. Bottom Line: The best stroller for traveling off paved surfaces. 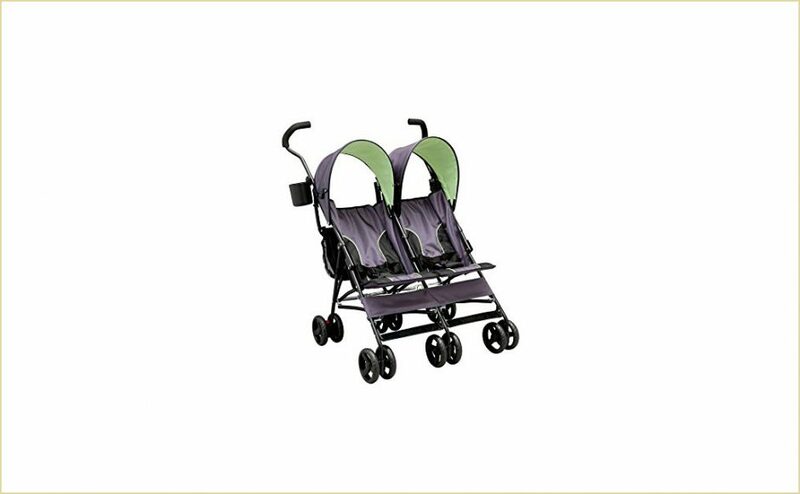 This J is for Jeep Scout double stroller is one of the best double strollers for siblings close in age because of its European design. Allowing children to sit side-by-side, parents do not have to worry about children turning around to see each other. The stroller offers an abundance of storage, with double rear canopy bags for parents who need to tote diaper bags, toys, or their own personal items. A parent cup holder is adjustable to many different positions. Each seat holds up to 35 pounds so children can ride from infancy through their toddler years. Bottom Line: A great choice for parents with children who like to interact during stroller rides. 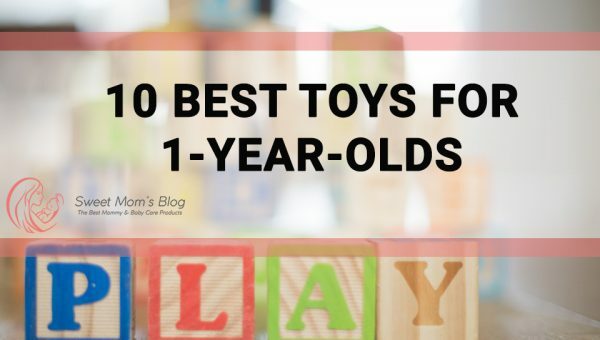 Recommended read: Since you are reading this article, you might also be interested in the best baby high chairs of the year! The Graco Roomfor2 Connect Stand and Ride stroller is the best double stroller for easy cleanup. The stroller features removable seat cushions that are machine washable with a frame that is easy to wipe down for quick clean ups. The stroller is also easy to store and folds up with one hand. Designed with infants in mind, the stroller is compatible with all Graco Classic Connect and Click Connect car seats. The best double stroller for traveling is the Delta Children LX Side by Side Tandem Umbrella stroller. This stroller is a lightweight stroller that easily folds up into a small package that is easy to transport. The side by side design and the European style canopy allows little ones to see their surrounding while enjoying protection from the elements. The stroller is large enough to comfortably seat two children but small enough to easily fit through standard doors. Each seat offers a comfortable, adjustable recline for children to get comfortable. Bottom Line: The best double stroller for short or average-height parents who want a reliable and secure stroller. If you’re shopping for a double stroller, consider the options above before making your choice. 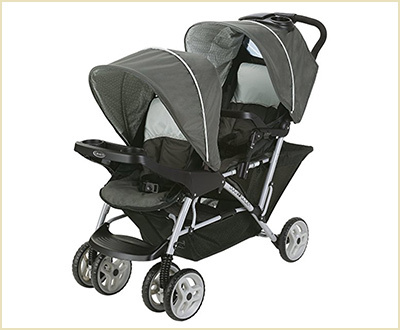 The strollers above offer style, functionality, and convenience for parents of young children. Finding the right stroller will make your life easier and help you focus less on juggling your things and more on your children.